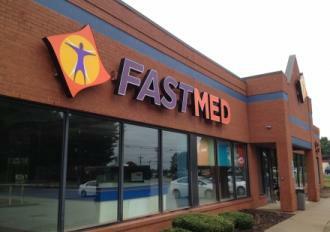 FastMed Urgent Care can provide you with immediate healthcare. Our walk-in clinics are open 365 days a year with extended hours, so you can find medical attention at your convenience and when you need it most. No appointment is necessary, so come on in to see one of our friendly and fully-trained medical professionals. FastMed Urgent Care clinics are open for extended hours throughout the week, and we even offer weekend hours. If you are looking for treatment for pink eye, Greensboro, NC, has a FastMed location near you. We aim to get you in and out within an hour, so you can get relief for your symptoms with a short visit. Pink eye is an unpleasant and bothersome condition, but our qualified medical professionals can help you get the treatment you need. If you are looking for treatment for pink eye in Greensboro, NC, look no further because FastMed is a quick and cost-effective healthcare provider. We accept most major insurance plans so quality care stays inexpensive for you. Pink eye, also known as conjunctivitis, is a common and easily treatable condition. Pink eye is the inflammation of the thin tissue that lines the inside of your eyelid and the white part of your eyeball. This inflammation causes your eye to become itchy and take on a reddish or pinkish color. Pink eye can be caused by bacteria, viruses, or allergens. Treatment may depend on what caused your pink eye, but, oftentimes, pink eye is a mild condition that will improve on its own. Visit your FastMed medical professional to determine the best way to take care of your pink eye. Pink eye may be spread very easily, so be careful to wash your hands often and avoid touching your eyes. If you need help with treatment for pink eye, Greensboro, NC, FastMed locations have trained healthcare professionals who are happy to help you get on the road to recovery as quickly as possible.